This year’s 3rd Annual 2017 DC Women’s Equality Day Advocacy Action and Celebration was a huge success! While the group that attended the Advocacy Action was small, it gave a powerful voice to the reinvigorated efforts to pass the Equal Rights Amendment. 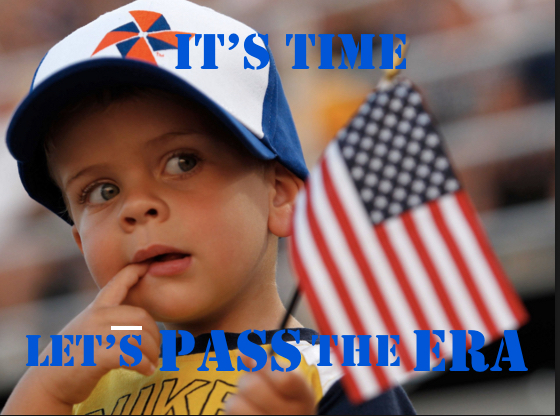 To watch local news coverage of the Advocacy Action Click Here. To see the YouTube video of the band of advocates laying out the day’s strategy at the Kennedy Caucus Room at the U.S. Senate Click Here. 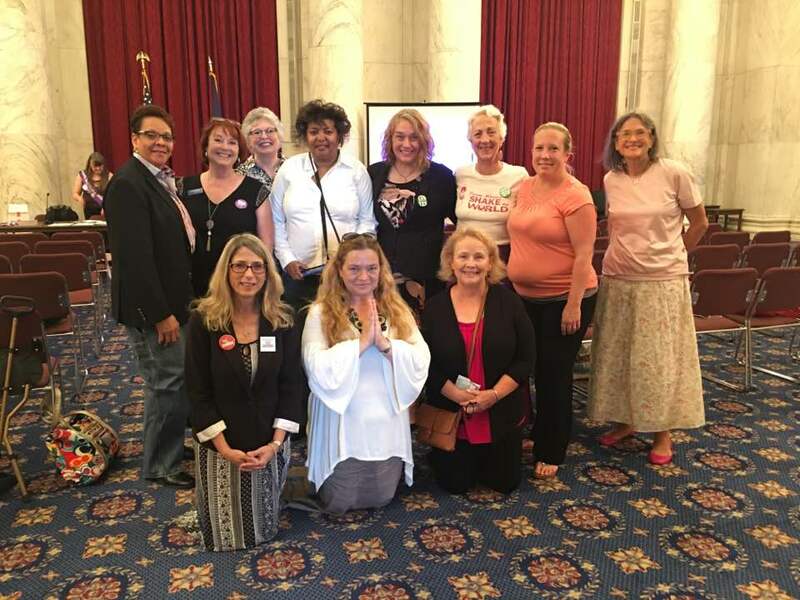 The emboldened band of advocates met up at the Kennedy Caucus Room where we were inspired by Nevada State Senator Patricia Spearman, [the legislator] who charged ahead in moving the Nevada Legislature to ratify the Equal Rights Amendment this past on March 22, 2017. Nevada is the 36th state (of the required 38) to ratify the Equal Rights Amendment and the first since the extended deadline of 1979 passed. That Senator Grassley, as Senate Judiciary Committee Chair, call for hearings on S.J. Res. 5. That Feinstein also put information up on her website stating that she supports the passage of the Equal Rights Amendment which will empower women, reaffirm the rights of men, as well as provide a U.S. Constitutional Amendment for the Supreme Court Justices to rely upon when issues that affect the LBGTQIA Community come before the court. That he push for hearings as Chair of the House Judiciary Subcommittee on the U.S. Constitution. We then proceeded to the office of Representative Steve Cohen(D-TN-9), the Ranking Member of the sub-committee, where he came out briefly to speak to our group saying he would not push for hearings at this time because he doubted the Republicans would be receptive. 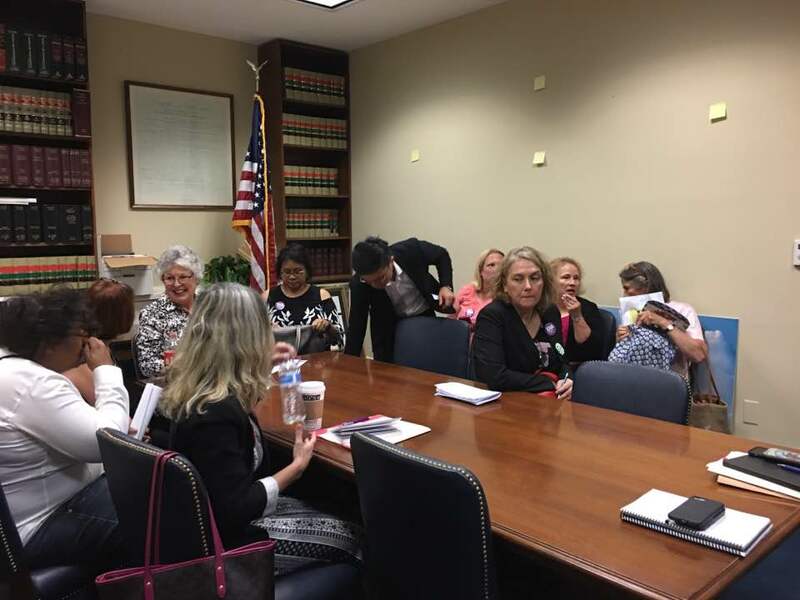 This was a disappointment for when one delays action when one is in a position to at least ask on our behalf for nearly three women are killed every day are victims of domestic violence here in the U.S.A. If they have – AWESOME! Thank them and then ask them to put it on their website that they have and speak to their colleagues about also coming on board as co-sponsors and holding hearings. Having reported the above, I also ask that you take a moment to reflect on your personal relationship with God. If you are a non-believer reflect on what kind of country do you want to live in? Do you want to be inclusive? Do you want to be diverse? Do you want to end racism and sexism? How do you set your moral compass? Where do you find your inspiration? I myself am inspired by the great spiritual leaders both past and present, from Abraham whose sons Isaac and Ishmael who gave rise to two great nations, to Moses who lead the Israelites out of Egypt, to Queen Esther to begged to save the lives of the Jewish people, to Jesus who gave his life for all people, to Buddha who gave up the life of an Indian Royal to walk amongst the outcast and downtrodden, to Sojourner Truth who valiantly championed the abolition of slavery movement, to Ghandi who fought for Independence, to Martin Luther King, Jr., whose life was taken as he strove to make all equal here in the U.S.A., to my mother-in-law, the Rev. Katrina Martha Van Alsytne Welles Swanson, who along with 10 other brave women, known as the “Philadelphia Eleven,” were the first women priests “irregularly” ordained in the Episcopal Church. I ask that you forward this to your family, friends, co-workers, neighbors, and network. It is time that we demand that our elected officials do the work they voted in office to do and that is to serve the people of the United States of America. In a couple of days, I shall give my report on the Celebration of Women’s Equality Day and the amazing performance of 24Words, the Equal Rights Amendment Musical. Thank you for taking the time to read this blog posting.